I like Glen Garioch. 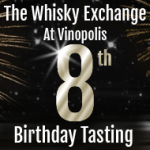 While their regular range is unchanging, other than when they release a new vintage, they do like a special edition. 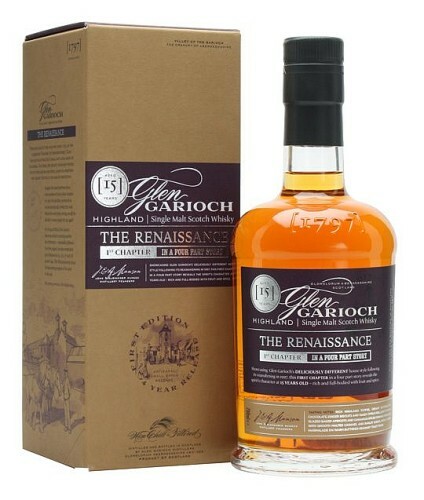 Following on the heels of the Wine Cask Matured from earlier this year follows the first in a new range, billed as ‘The first chapter in a four-part story’ – Glen Garioch: The Renaissance 15 year old. Back in 1994 Glen Garioch changed. Owners Morrison Bowmore were acquired by Suntory, and the distillery closed while the new bosses worked out how they wanted to run things in the future. 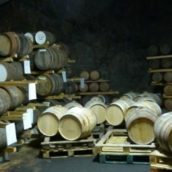 After extensive testing and development, the distillery started up again in 1997, and a variety of changes went in: mash temperatures changed; fermentation times changed; the greenhouse, full of tomatoes and kept warm by waste heat from the distillery, was closed down; and most importantly, the malt changed. Previously, Glen Garioch used barley from its own maltings, using a low peating level – about 5-10ppm. However, under the new owners, the maltings closed and unpeated malt was brought in. This made a big change to the style of spirit, focusing on malty and fruity flavours without the gentle smoke of earlier bottlings. 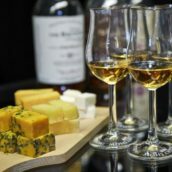 It’s getting harder to find the old style of whisky, although the 1994 is still available and reasonably priced, but the more recent whiskies are very much now what the distillery is known for. The Glen Garioch Renaissance series celebrates the distillery’s rebirth, and this first chapter is bottled at 15 years old. It consists only of spirit distilled since the reopening, and focuses on the flavour profile of their new style of whisky. Palate: Oily and sweet, with more nuts and toffee, as well as buttered brown toast. A little bit of tongue drying tannin but still juicy, with baked apple and vanilla cream. Finish: Butter toffee, hazelnuts and their skins, crisp apple and a touch of candied orange peel. Comment: Very much on message: a whisky that shows off what Glen Garioch are all about. It’s rich and malty with some solid spice and a pleasantly oily mouthfeel. The series will continue over the next three years, with releases of 16, 17 and 18 year old whiskies, to further show the development of the spirit as it matures. Wow, it sort of sounds like the soul of the distillery is gone. That greenhouse was very neat, but cost cutting Suntory can’t have that. Does anyone know if/when Chapter 2 will be released? We’ve been asking, but as yet there is now news.